All I can say is “YUM”!! Mix and place in a 9 x 13-inch baking dish. Press lightly into pan. Bake at 375 degrees for 8 minutes, let cool. Cream together cream cheese and sugar. Add whipped topping and mix well. Spread over pretzel mixture and place in refrigerator until cold. In a medium bowl, mix boiling water with strawberry jello; stir until dissolved. 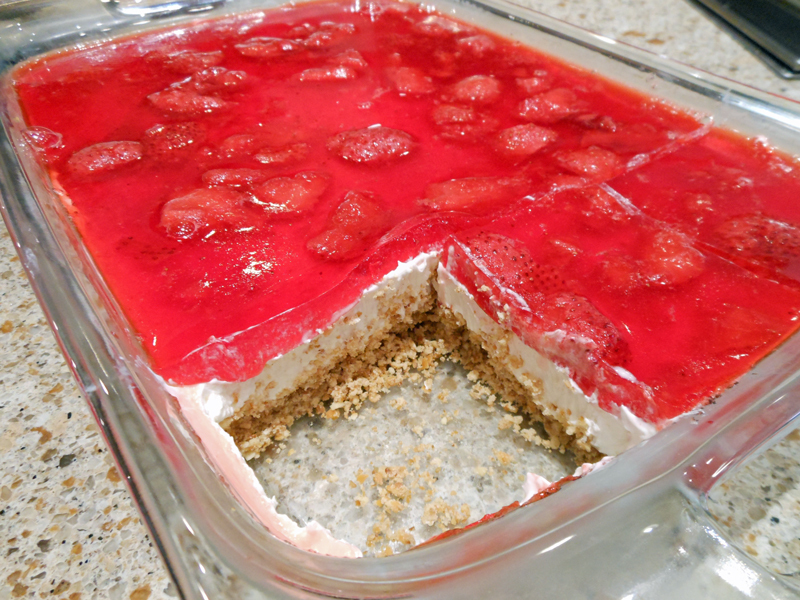 Add frozen strawberries; put jello mixture in refrigerator or freezer until it begins to thicken, then pour over cream cheese mixture. Refrigerate.